There are many factors that should be taken into consideration when choosing a tutor for your student. This decision shouldn’t be taken lightly, as it can effect your child’s long-term growth in school and life. We have compiled the following list of frequently asked questions regarding our services and the tutor selection process. If you have any questions not on this page, please feel free to contact one of our education consultants in Florence, Killen, Leighton, Muscle Shoals, Rogersville, Sheffield and Tuscumbia at (256) 278-2342. Q: How do you qualify & screen your tutors? A: We understand how important it is to find the right tutor for your student. That is why we put our tutors through a thorough screening and qualification process to ensure they will produce results for our students. While some tutoring companies will use high school students as tutors, our focus is building a staff of tutors that are certified teachers, professionals and/or highly experienced tutors in college in their respective subjects. We have found this method to be the most beneficial for all students involved. Our tutors have classroom teaching or extensive tutoring experience, and they have proven to have a real passion for their field of expertise and for sharing their knowledge with students. We extensively screen our candidates by doing thorough background checking and reference checking to ensure the safest environment for all our clients. Q: What is the tutor matching process? Q: Does my student always get the same tutor? A: At Club Z!, we understand the importance of consistency in the learning and development process of each student. This is why we focus on ensuring that we not only match the correct tutor to your student, but that they are available for every session moving forward. Our hope is that our tutors will develop a special relationship with their students and will feel just as proud with their success as you. Don’t let a revolving door of different tutors and teaching methods at some tutoring companies hold your student back from the success that is just a call away with Club Z!. Q: Where is your tutoring conducted? 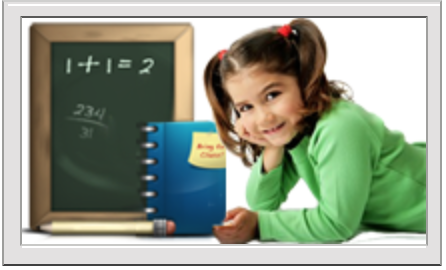 A: Our tutoring is normally conducted in the comfort and privacy of our client’s home. Most of our clients enjoy the convenience of private, in-home tutoring because it removes the hassle of traveling to and from a tutoring center. However, it is not uncommon that our clients request that we tutor at public libraries and similar locations. We have found that the long-term results are much stronger by developing good learning and study habits at home, as they will carry over when a tutor is no longer present. Q: Do you use the student's school curriculum? A: At Club Z!, we believe that we should earn your business with every session and do not require the signing of long-term contracts to use our services. Our confidence in our tutors and our processes to produce results is what allows us to offer what most in the industry do not. As with any business, we do have an agreement that outlines the details of the relationship, but this is not a long-term contract and part of the agreement explains how to cancel or suspend services. Be sure to read through anything another tutoring company gives you to sign, as many companies lock in their clients long-term with no way to get out of the contract. The only instance with us where there may be some sort of contract involved is when a special or offer is being redeemed for free services. A: We pride ourselves on producing results for our students that will set them up for long-term success. Our belief is that our results should always prove why you are using our services. That is why we focus so much on putting the best tutor possible with your student and developing a plan in the beginning for ongoing success. We will work with you in our initial consultation to discuss options, likely results and lay out this plan for success. Our tutoring method has been proven to see amazing results for students all across the US & Canada since 1995. Q: How am I involved as a parent? A: We know how important it is for a parent to be involved in the tutoring & education process, which is why we include you every step of the way. We will meet with both you and the student to ensure everyone is on the same page from day one. We will outline a plan and provide progress reports that match with the school curriculum and grades. We will also work to develop a plan for future success by working with you to help you understand how you should be involved moving forward. We encourage all parents to be as involved as they would like, to ensure they are happy with the services we provide. Q: How is the school involved in the process? A: Depending on the needs of each student, we will work with their school and their teachers to find out any areas that need extra help and improvement. By working with the school curriculum, we will ensure the student stays on track and periodically check with teachers to ensure the grades are consistently improving. This is especially important in cases where we need to work on study skills, attentiveness, test anxiety and other things that may not be noticed in our tutoring sessions.